Home News WILL THE POSITION CHANGE IN THE NEXT ELECTIONS? WILL THE POSITION CHANGE IN THE NEXT ELECTIONS? Will Balayya go from Hindupur to another area in the next election? Do not care about Hindupur? He full stoped to these questions. 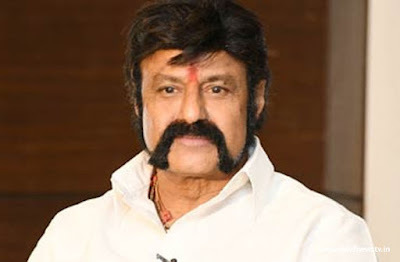 Nandamuri Balakrishna from where he will contest from next election , suspense news has been ended.The campaign of Balayya didn't contest from Hindupur,He kept full stop to the campaign himself .Balayya made it clear that he would contest from Hindupur. Balakrishna focuses on the development of Hindupur. Lepakshi is celebrated with great festivities not only for the development of temples during the royal period. A sum of Rs 50 lakh has been allocated for the loan. Apart from AP, tourists from Karnataka and Tamilnadu have been specially impressed. Separate pipeline works from Gollapalli Reservoir are in progress to solve the drinking water problem of the Hindupur. But if you want to bring water, the smallest hindrances do not work. Not only is the water coming to the Hindu community but the Madakkura Branch can give Canal water. Party leaders say that Balayya has given special attention to the Hindupur and has sent signals to his opponent that his political activities are continually moving from here. Balayya, who has less tours in the constituency of the past, is currently traveling to the constituency and speed up development programs. Party sources said that Balayya had told her close friends that she would contest from the Hindu region in the next election. Since the formation of Nandamuri Taraka Rama Rao, the Hindupur constituency has become a tipper.Not only the Nandamuri family, but also the TDP candidates who are the only candidates to win. At present, Balayya is doing special development activities in his constituency, but he does not give any chance to the opponents. Industries and other companies have been invited to the Hindu fold. The fans say that the shape of the Hindupur will be changed by Balayya. .